Photography by Åke Lindman and Kolman Boye Architects. 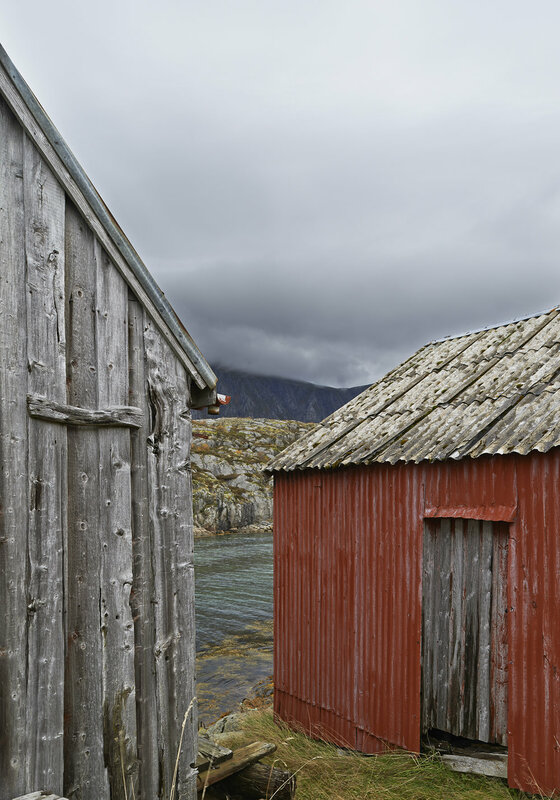 A ‘naust’ is a traditional Norwegian boathouse, whose forms and materials reflect many years of building in conditions where harsh seaside weather must be taken into account at all times. Nausts are often windowless with wooden facades and a straightforward tectonic, with strong material vocabulary. With these conditions as their main inspiration, Kolman Boye Architects built the Vega Cottage as a contemporary naust, giving it a destinctive character without making it pretentious. The house stands on the island of Vega in the Norwegian archipelago not far from the polar circle. The site is distinctive for its grand Northern landscape with wide panoramas of the Norwegian Sea and the jagged mountains rising from it. Its large windows face three directions, each with its own strong unique characteristic. They’re simple, robust and optically white glass conveys undisturbed frames of the the view. Upon completion of the house the clients’ father, who spent his childhood in these areas, visited the cottage. Being able to sit down, sheltered from the elements, the old man stayed seated for several hours, silently observing the ever-changing light over the ocean.